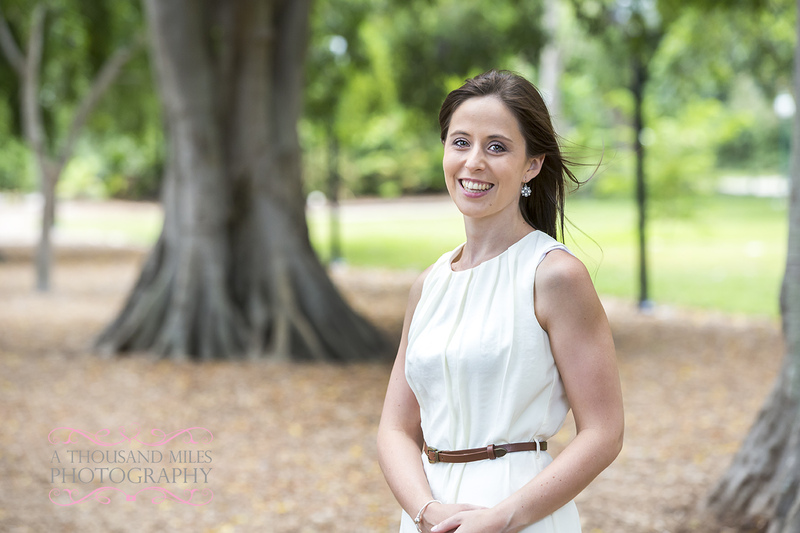 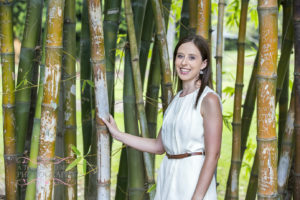 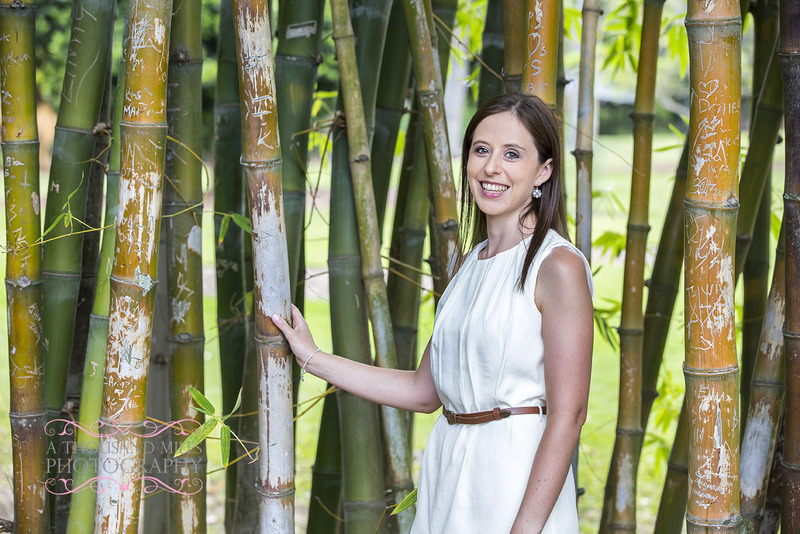 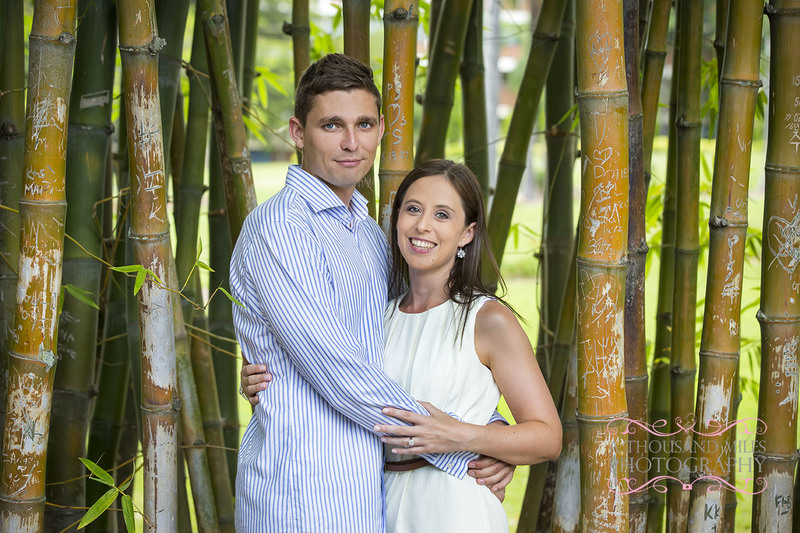 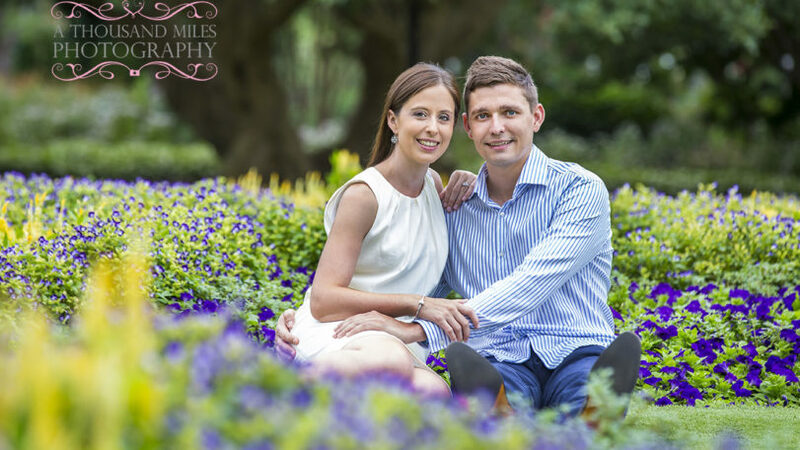 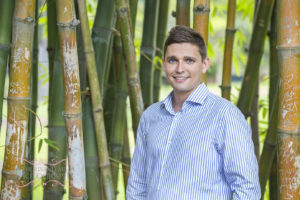 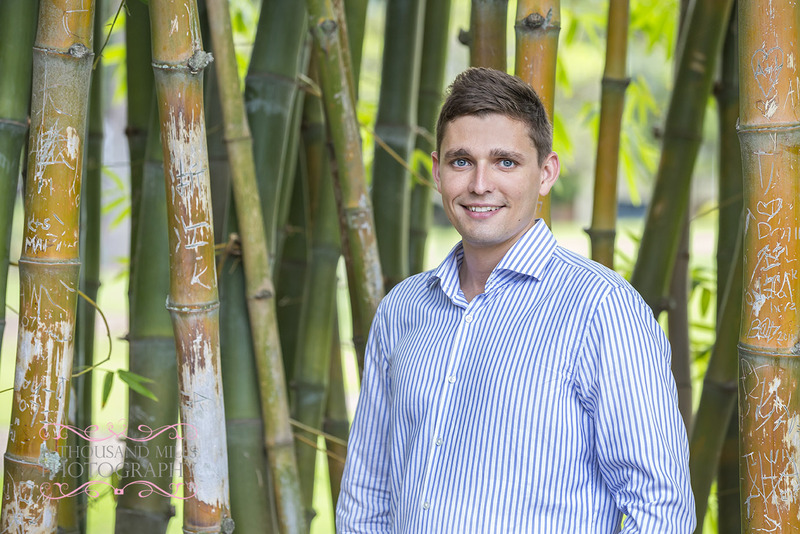 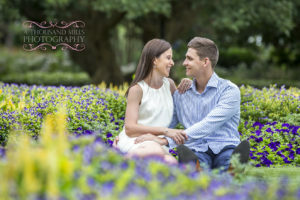 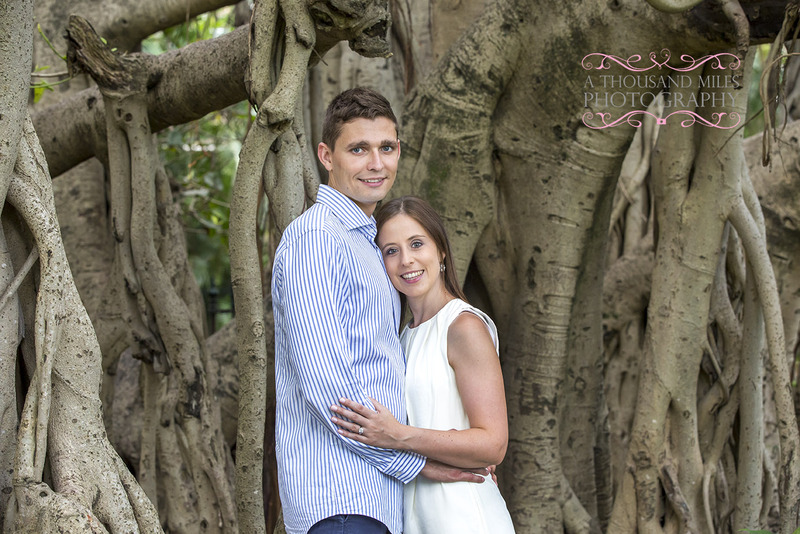 When Sam sent me an email asking if I could do a couple’s photo shoot in Brisbane’s Botanic Gardens, I didn’t need asking twice! It is one of my favourite spots in my favourite city in the world and I jumped at the chance! 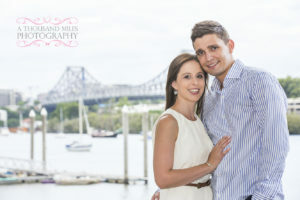 I met Sam and Todd on a warm January day, introduced myself, had a chat and dived into the photos! Although it was a warm day, it was perfect conditions for a couple’s photo shoot – slightly overcast and nice and bright. 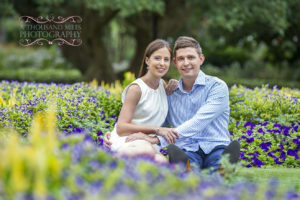 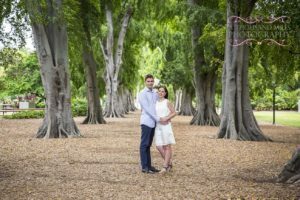 It also helped that the botanic gardens were in full bloom; colour adds amazing depth to a couples photo shoot and makes for a fantastic backdrop. 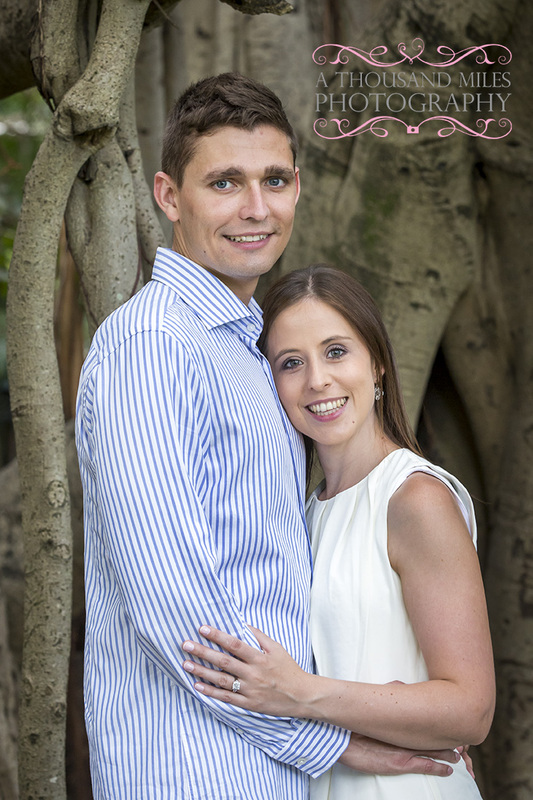 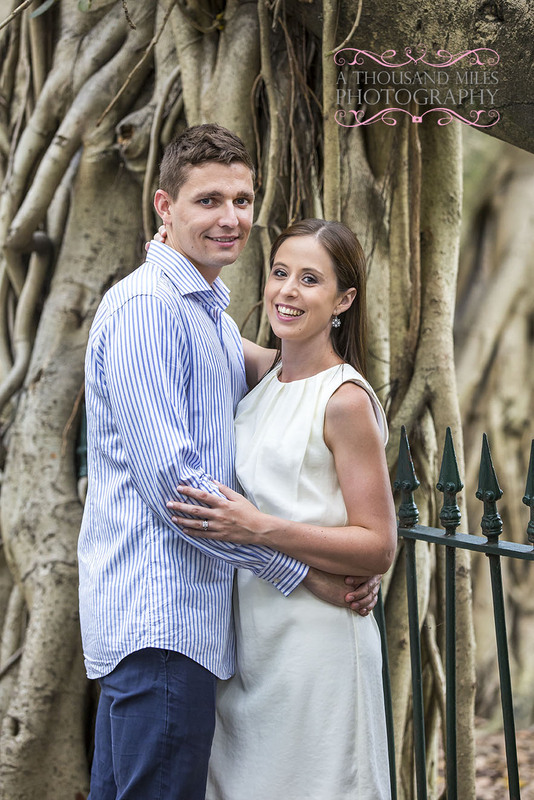 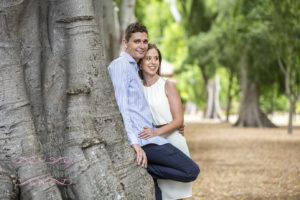 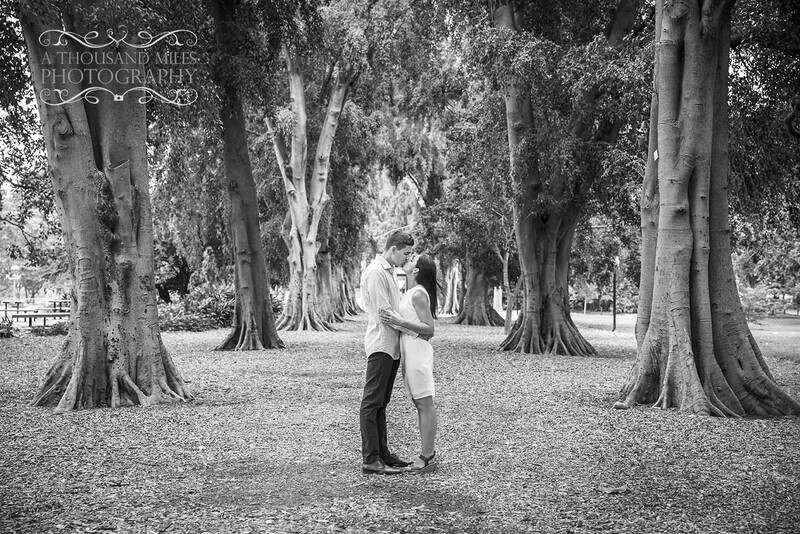 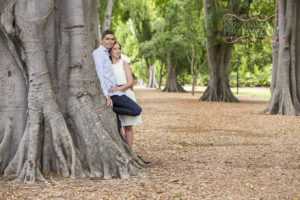 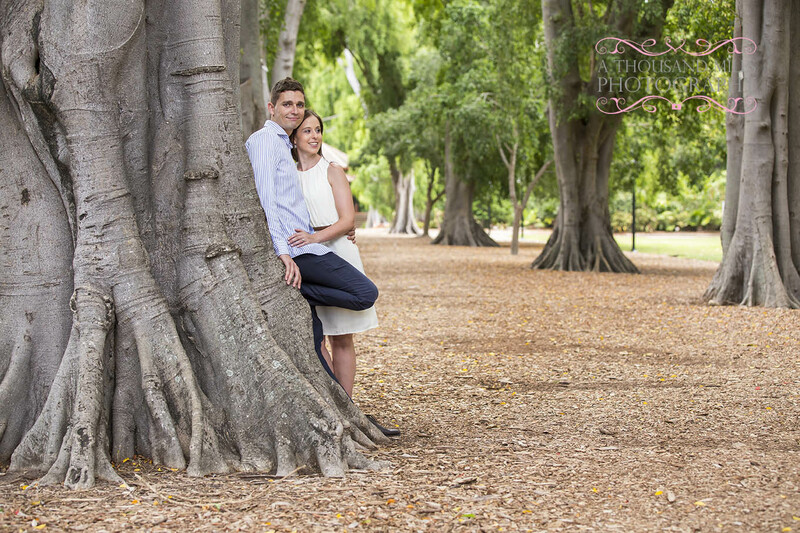 The botanic gardens have some incredible locations for couple photos, but my favourite spot must be Fig Tree Avenue! 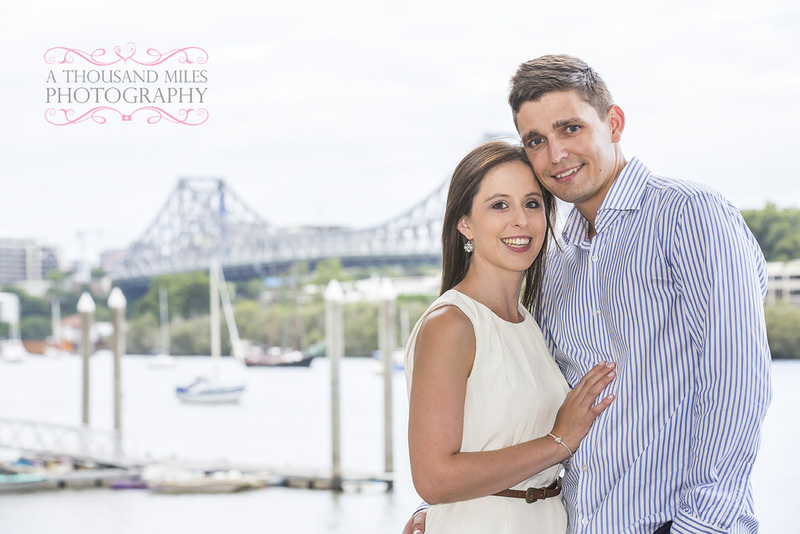 After capturing some beautiful couple photos in the park itself, we headed down towards Eagle Street for some photos with the Brisbane River and the Story Bridge as a backdrop. 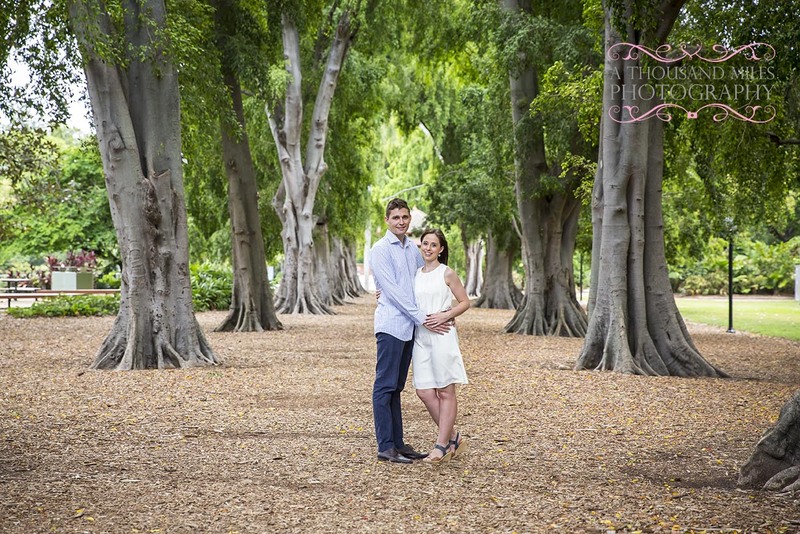 The breeze was fantastic and the light was amazing! 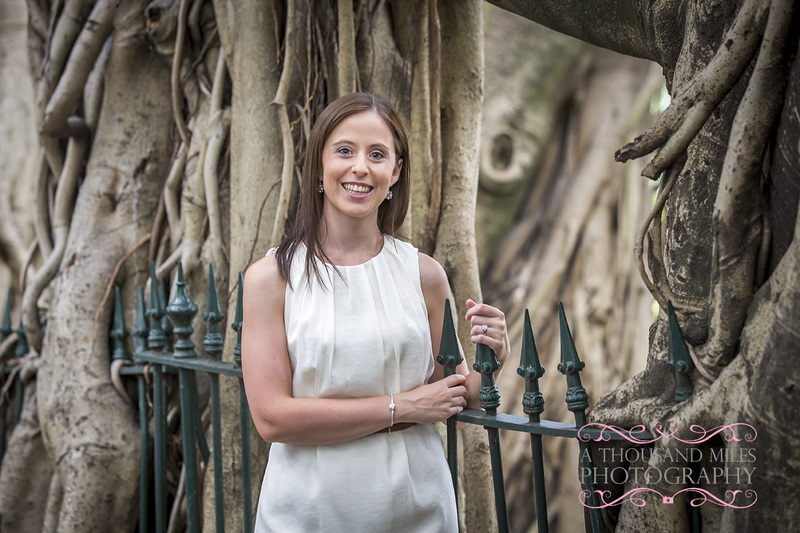 I always like to grab a few couple photos just outside the Botanic gardens on Alice Street, where the banyan trees have started to reclaim the fence! 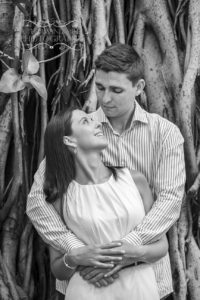 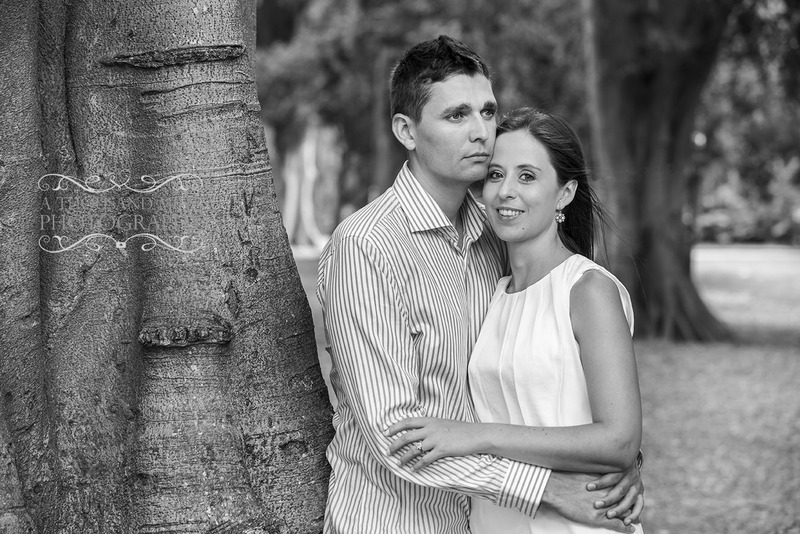 Brisbane is a fantastic location for a couples photo shoot, and with our photography packages starting at $179 with your high resolution images included, we can capture you looking amazing without having to remortgage the house to do so!